The calls came from across the country: “please send water”. Taps were dry – or running dry – everywhere. From villages, towns, and districts – Smithfield, Reddersburg and Trompsburg; Winburg, Zastron, Senekal and Kraaipan; and Maclear and Colesburg in the Eastern Cape. Many South Africans living in the cities had never heard of many of those desperate places, but nevertheless donated thousands of litres of bottled water. But at RAM, we knew exactly where that water was going. We deliver documents and parcels everywhere. Now the call was for deliveries of water – of life. There was no question to be asked: we knew we just had to help. 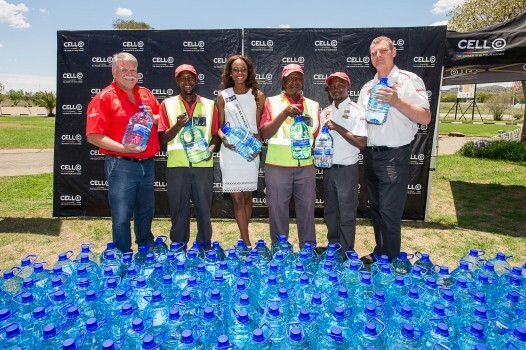 We partnered with Cell C to deliver thousands of litres of water from a central drop-off point in Bloemfontein to farms and communities in the worst affected areas in the Free State and Eastern Cape. It was a task we undertook gladly and the team in Bloemfontein did a fantastic job pulling it all together. Hopefully, it’s a task we won’t have to do again. But if the call goes out once more, we will be there.